Spitz Nevus is a funny looking type of mole found in kids or younger people. What is Spitz Nevus ? A Spitz Nevus is a rapidly growing growth that occurs in children and young adults. It is a type of mole (a proliferation of benign cells called melanocytes). The histology of Spitz Nevus can look quite alarming. It is, however, a benign mole. What does a Spitz Nevus look like? The colours vary enormously – from light pink through to brown or almost black. They are often raised in the shape of a nodule. They are more common on the face. What is the treatment of Spitz Nevus ? Theoretically, a Spitz Nevus does not removing because it is a benign grown (like other moles). However, it is often difficult for a clinician to be certain that the condition is a Spitz Nevus. What’s more, these Nevi are not always easily distinguished from melanoma even by expert dermatopathologists. 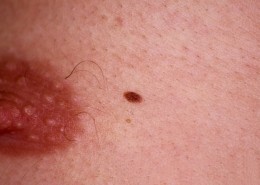 There is evidence that a low grade of melanoma overlaps with a Spitz Nevus. In practice most Spitz are removed to confirm the diagnosis and to avoid any future concerns. Nests are growths of melanocytes (the benign cells that proliferate in nevi or moles in general). In Spitz Nevus, the nests form along the junction between the epidermis and dermis. As The spitz nevus grows larger, the nests extend down into the dermis. 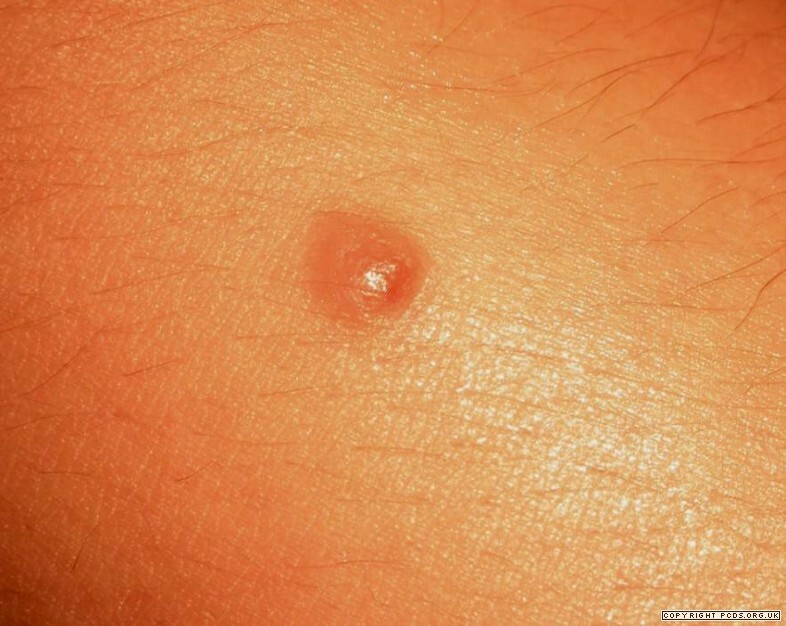 The epidermis (upper layer of the skin) is often hyperkeratotic (scaly) & hyperplastic (increased number of cells) – this is also the case with some other types of moles. The mid layer of the epidermis (upper layer of the skin), called the granular layer, is normally quite a thin layer. 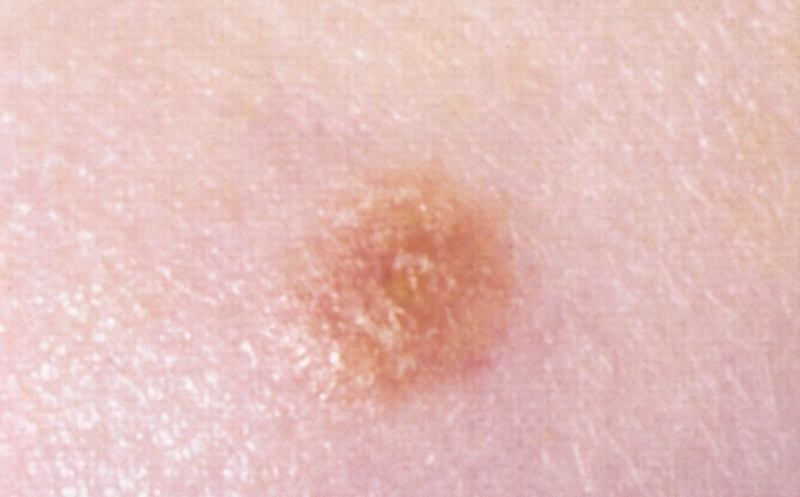 In Spitz nevus, this layer is often prominent. Kamino Bodies are masses that are made up of Basement Membrane and other proteins. 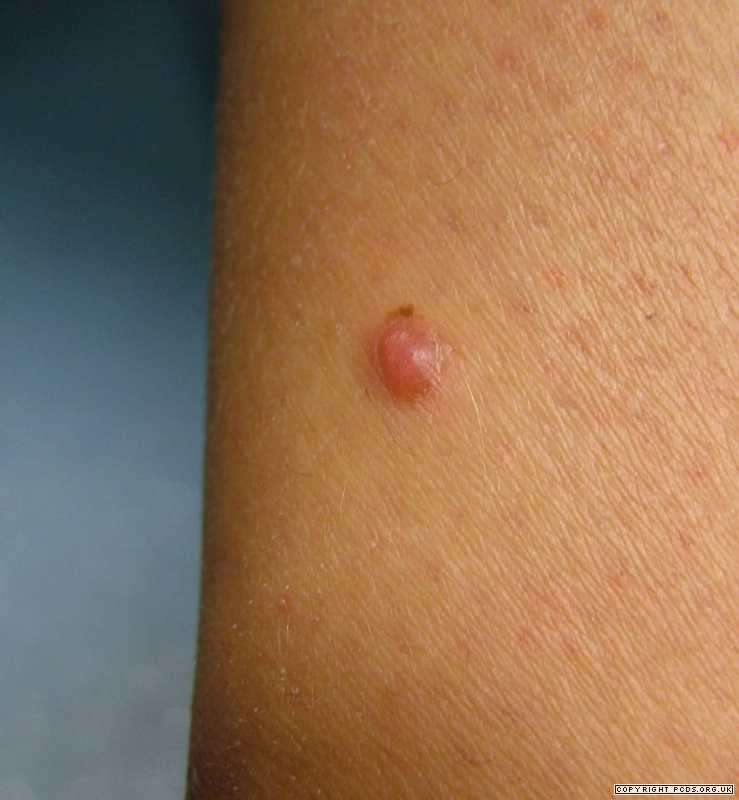 Think of a Spitz Nevus when you see a mole in a young person that demands your attention.